Designing a logo seems like a simple task, right? But there are many more things behind the development of the visual identity of a brand, than just some beautiful letters and some geometric figures. Logo designers are in great demand, and it is for good reason: a logo is often the first impression a company makes , which can affect a customer’s brand perception, their purchasing decisions and in general to your attitude towards a product. We live surrounded by logos of different brands. Even young children who can not yet tie their own laces, recognize many logos, or are able to deduce what a company sells just by looking at its brand. 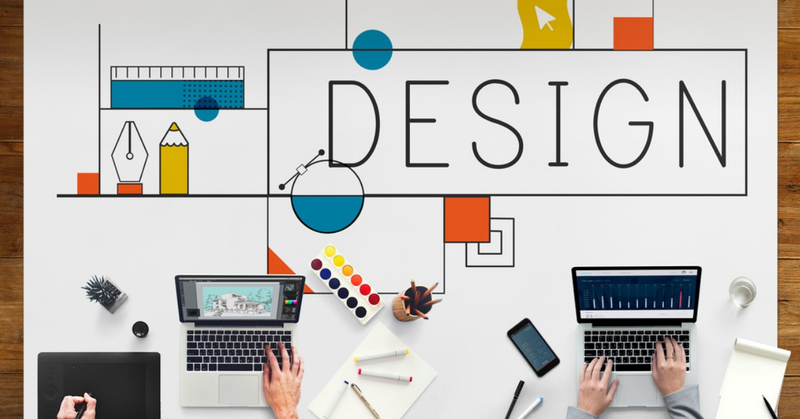 For all those who are about to embark on the journey of the design of your brand, or think it is time for the visual identity of your company to undergo a facelift, we have some tips that will help you, to create A good logo for your company. A logo is what helps distinguish a brand from its competitors, so it is important that the image stands out from the rest, something that many brands struggle with. In many cases, imitation is the best form of adulation, but when it comes to designing a logo, it is not. Designers who are not sure of the originality of their design can check for plagiarism in sites such as Logo Thief . The creation of a unique design is not everything to avoid imitation, it is important to think creatively: the Mercedes logo is not a car, the Virgin Atlantic logo is not an airplane, and the Apple logo is not a computer. Yes, a logo is an image, but it is also an introduction to a brand. The logo must reach a specific audience and you must take this into account when designing. Write what you think about your brand, you can take a look at websites like Turbologo to get some inspiration. But be careful, you should only be inspired by aesthetics, not by meaning. Investigating other visual marks may be useful, but inspirations should not be taken literally. Do you want to highlight the usefulness of your brand or evoke emotion? What is your position regarding customer service and how far do you aspire to arrive with your brand? While it’s useful to stay up to date on the latest design trends, it’s more important to stay true to your brand’s global personality. Each logo has a story full of meaning and purpose. Apple, for example, the fruit is missing a bite, or Wikipedia, is a world of unfinished pieces covered with glyphs of different writing systems. Both logos are simple, but they have an added touch that surrounds the ideology of the brand again. 4. What happens with the name? A logo consists of two elements: A name and a symbol. Before a company can think of a symbol as its sole representation, a good advertising campaign must be done. Some companies choose to have their logo be only their name accompanied by a beautiful source, such as Ray-Ban, Coca-Cola and IBM. This depends on the kind of name your brand has, if your company has a unique name, then this could be your logo, but if your name is generic, you will need something else to identify the company. When considering the font for the text, be sure to avoid rare fonts, use the negative space and modify fonts already created to your liking. Pages like Font Squirrel or HypeForType will be of great help to you. Some brands are even recognized by their personalized sources, as is the case of Coca-Cola. It is important to have a balanced, simple and peculiar combination, you want your logo to be interesting, but not that someone has to sit down and analyze the logo to know what it is about. A good example is the FedEx logo, a simple logo with a different touch. The image uses negative space to create an arrow that connotes speed, precision and direction. In addition, the company changes the color of “Ex” to classify the type of shipment. Amazon also uses only its name, and uses an arrow from “a” to “z” to refer to its vast inventory. In this new digital era, in which logos appear on various devices and through social media, you must design something that transcends the paper. It should work well on different platforms, and be flexible in its size. Adidas, is a brand that incorporates the same motif of three parallel bars in all its designs. The visual changes depend a bit on where you see it from, but it always contains similar components. Design a logo that is not obsolete in a few years is a challenge, you must be open to small changes that arise along the way and be prepared to make small changes to keep your logo updated . Nike, Puma, Audi and all the iconic logos, took time to gain popularity. A logo will not instantly become an icon, even if you have designed the most beautiful vector combination. Success depends on the product and the market in which it is located. But what made those iconic logos so wonderful? If you look at the way they originated, you see that they derive from a great understanding of the brand’s principles. The Nike designer was asked to create something that would visualize the movement and look good on a shoe. Audi, represents four brands of the company related to each other; Puma, is a simple visualization of the name, together with a puma jumping. It is important to be patient and not rush to make changes in your design just because you have not achieved the reception you initially expected. Do not change your logo just because you’re tired of it, if the time has come to evolve in the design, look for elements that can do better, but always in line with your brand. There is a wide online catalog of tools that will help you design a logo for your company or where you can find some inspiration, in future posts we will give you a summary of the best design tools for logos.